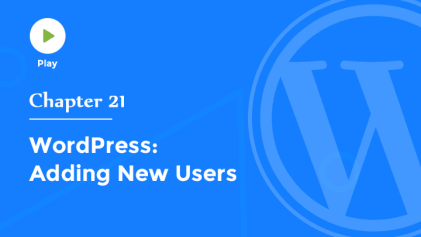 In this video, we'll talk about how to add new functionality to your WordPress site through the use of Plugins. Plugins allow you to add new features to your WordPress site that don't come standard with the default installation. There are thousands of plugins for WordPress and it's easy to locate and install new plugins with just a few clicks. The Installed Plugins sub-panel is where you can view the plugins that are currently installed on your site, and choose which plugins you want to activate. The Akismet plugin by Automattic is installed by default, and is probably the best way to protect your blog from comment spam. To activate this plugin, you'll need to enter an API key, which you can get from Akismet.com. The Add New sub-panel allows you to search for and install plugins from the WordPress Plugin Directory. Just like the process for finding new WordPress themes, you can browse plugins from the WordPress Plugin Directory. Or, if you've already downloaded a plugin, you can upload the .ZIP file directly from your computer's hard drive. You can also search for specific plugins by their name, author, or keyword. And, the most popular keywords are shown at the bottom of the page. There are literally thousands of plugins available to add functions to your WordPress site, including email signup forms, Facebook Like buttons, and widgets for displaying your latest Tweets. But you might begin with the all-in-one Jetpack plugin. It's created by Automattic, the same folks who make WordPress.com, and it supercharges your site by adding dozens of useful features at once, including detailed statistics about your site's traffic, better security, image optimization, and much more. You can learn more about Jetpack from their website, jetpack.com. We can view the details for this plugin, view installation instructions, screenshots of the plugin in action, frequently asked questions, and even ratings and reviews. When you're ready, just click Install Now. 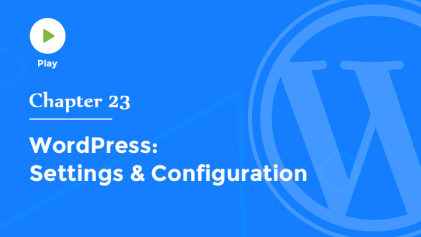 WordPress will automatically download and install this plugin for us, and when it's done, we can Activate it, and our new plugin will show up in our list of currently installed Plugins. You’ll notice that Jetpack has created a new menu item, and if we visit the Settings panel, we can check out the new features that Jetpack provides to increase engagement with our visitors, improve site security, change the appearance of our site, or add writing features. I'll activate the Contact Form. And then, let's head over to the Pages sub-panel to open our Contact Us page. You'll notice Jetpack has added a new button to Add a Contact Form to this page. So I’ll click my cursor where I want the form to appear, and then click the Add Contact Form button. We can edit or customize the fields in this form, but I’ll just go ahead and add this form to my post.WordPress will replace these shortcodes with an actual form when this page is viewed on our site. And a quick Preview of this page will show our new contact form in place, powered by the Jetpack plugin. With more than 35,000 plugins in the WordPress Plugin Directory, and thousands more available commercially, it’s likely there’s a plugin for just about any feature you can imagine.